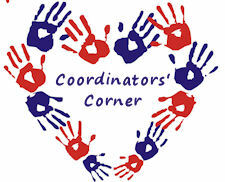 My name is Pam Camit and I am the Group Co-Coordinator for Mended Little Hearts of Greater Portland in Oregon. Our group was chartered in March of 2012 and we have already built some fantastic relationships with other local heart families. We have volunteered at both Ronald McDonald houses in our area, walked in the Jr. Rose Festival Parade and we are gearing up for our first family picnic. I have four kids, two are grown and out of the house and two young boys. My youngest, Ben, was born with Atrioventricular Septal Defect and Patent Ductus Arteriosus in 2008. He had his Open Heart Surgery at three months of age and due to that procedure he has acquired Mitral Valve Regurgitation. He currently takes Lisinopril daily to hopefully prolong the next surgery he will inevitably need. It was a shock for my husband and I to find out that Ben was born with Congenital Heart Defect. Not unlike many parents, we had no idea what CHD was or meant for our child. He was diagnosed on his second day of life. I remember pouring myself into the internet for answers. Why? How? What did I do wrong? Eventually I realized that my focus didn’t need to be on those things at all. Life had begun to take on a different meaning and the roller coaster just got wilder is all! Ben has been one of the lucky CHD Kids out there. He is full of energy (I argue he may have too much most days), he hasn’t shown any signs of having a Heart condition since he was born and if he didn’t have his scar, nobody would even know that he is a ‘Heart Kid’. I also know that this is how it is right now and the Heart can change. But with regular doctor visits, EKG’s and ECHO’s, we stay on top of his Heart Defects. It’s the “norm” of being a CHD family. 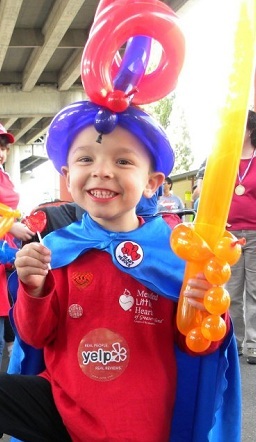 It is my hope that with MLH we can be a resource for Oregon and SW Washington families when they need us. I think that is the key. Everyone deals with these cards a different way. Not all of us “go all in”; some play a card at a time. For me, helping other families is the way that I fulfill my need for help myself with this crazy card game. You can can “Like” our facebook page Mended Little Hearts of Greater Portland to keep up to date with our activities and upcoming events, as well as visit our website Mended Little Hearts of Greater Portland. Pam, I love your analogy of the cards. I completely agree that everyone’s experience is different and sometimes we play all in, and sometimes we play a card at a time. Love it! Great article!